The rain since Tuesday will be welcome to most of you and fields are already looking greener in the south west. Stock are at last looking much better so lets hope we get back to summer shortly. 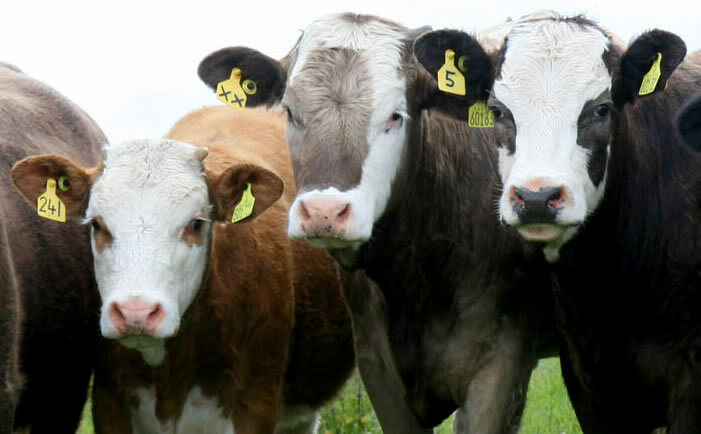 The values of store cattle have at last jumped albeit numbers are small, however it seems that the processors are trying to pull finished cattle prices back, so be careful. We can see no justification for this as supplies are really tight due in combination to fewer cattle on the ground and poor early summer performance. We had our second farm walk on Wednesday evening around 75 attended and saw some tremendous cattle doing really well but Jim Fowlie thought that he would not start to sell them till September. One interesting point that Philip Skuce, Moreduns liver fluke guru, made was that although NADIS were predicting low levels of fluke this season they had taken no account of numbers carried over from 2012. Fluke spores can easily over winter on pasture to be picked up by livestock the following year. So beware and take dung samples to your vet for his advice. Applications for Weather Aid closed earlier this month. Over 1000 applications were received so it would appear that average payouts will be around £6500 as predicted at the scheme launch. A quick look at the applications will however mean that a considerable scaleback in claims is inevitable. The scheme, though very welcome, was only ever going to be a token gesture. One further warning, August payment seems over optimistic at this stage.